WHEELS, 19 (48.3 CM) 10-SPOKE ALUMINUM (STD), TRANSMISSION, 6- SPEED AUTOMATIC, ELECTRONICALLY CONTROLLED WITH OVERDRIVE (STD), TRAILERING PACKAGE 4500 lbs. includes (V08) heavy-duty engine cooling system, (VR2) trailer hitch, TRAILER HITCH, TIRES, P255/60R19-108S ALL-SEASON, BLACKWALL, MICHELIN (STD), SPARKLING SILVER METALLIC, SEATING, 7-PASSENGER, FRONT BUCKET second-row captain's chairs, flat folding and SmartSlide access to third row, third row flat folding 60/40 split bench (STD), NAVTRAFFIC. Avoid congestion before you reach it by enhancing your vehicle's navigation or entertainment system with NavTraffic. With detailed information on traffic speed, accidents, construction, road closures and more, you will get to your destination faster and more easily than ever before., LPO, HIT THE ROAD ACCESSORY PACKAGE includes body-color molded assist steps, Roof Rack Cross Rail Package and cargo area all-weather floor mat, LICENSE PLATE BRACKET, FRONT MOUNTING PACKAGE. 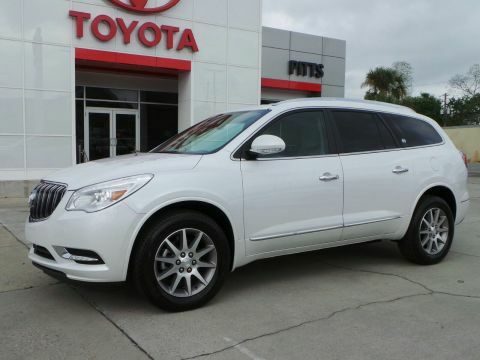 This Buick Enclave has a dependable Gas V6 3.6L/217 engine powering this Automatic transmission. *This Buick Enclave Leather Has Everything You Want *AUDIO SYSTEM, COLOR TOUCH NAVIGATION RADIO WITH INTELLILINK AM/FM/SiriusXM radio with CD player, 6.5 diagonal touchscreen display, includes Advanced Bose 10-speaker system, USB port, auxiliary input jack and rear audio controls with 2 headphone jacks (headphones not included)., AUDIO SYSTEM FEATURE, BOSE PERFORMANCE ENHANCED PREMIUM 10- speaker system, AUDIO SYSTEM CONTROLS, REAR WITH HEADPHONE JACKS AND DISPLAY, 1SL PREFERRED EQUIPMENT GROUP Includes Standard Equipment, Wipers, front intermittent with structureless wiper blades, Wiper, rear intermittent with washer, Windows, power with driver Express-Up and -Down features, passenger Express-Down feature, Wheels, 19 (48.3 cm) 10-spoke aluminum, Wheel, 17 (43.2 cm) compact steel spare wheel and tire, Visors, driver and front passenger illuminated vanity mirrors, USB port, 2 charging-only ports located in the rear of the center console, Universal Home Remote, includes garage door opener, 3-channel programmable, Transmission, 6- speed automatic, electronically controlled with overdrive, Trailering provisions, 2000 lbs. (907 kg), Traction control, full-range, Tires, P255/60R19-108S all-season, blackwall, Michelin, Tire pressure monitor system, Theft-deterrent system, vehicle, PASS-Key III, engine immobilizer with content theft alarm, Suspension, Premium Ride, 4-wheel independent, Storage system, rear cargo area under floor. *Driving Away with This Buick Enclave Leather Doesn't Mean Compromising On Quality *Carfax reports: Carfax One-Owner Vehicle, No Damage Reported, No Accidents Reported. 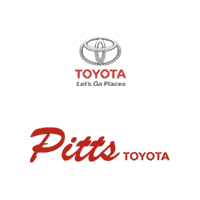 *Critics Agree*KBB.com 5-Year Cost to Own Awards, KBB.com Brand Image Awards. 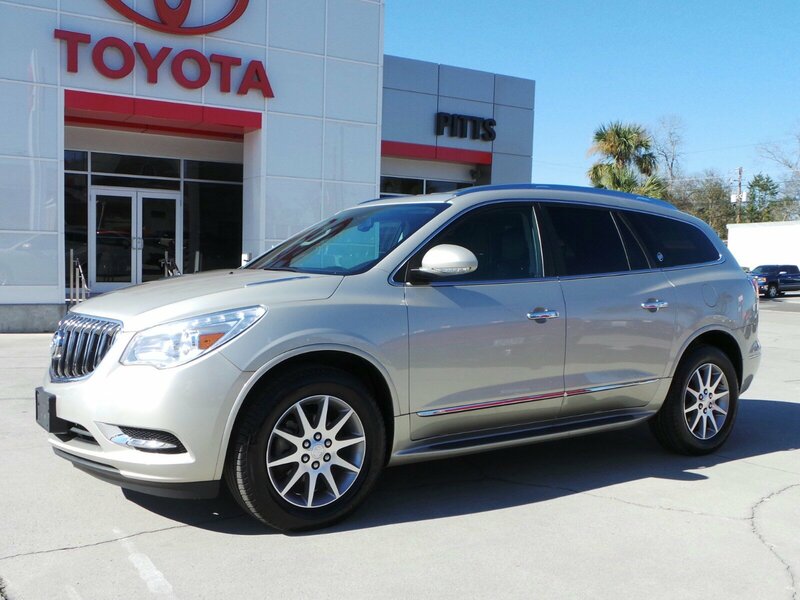 *Visit Us Today *Come in for a quick visit at Pitts Toyota, 210 N Jefferson St, Dublin, GA 31021 to claim your Buick Enclave!